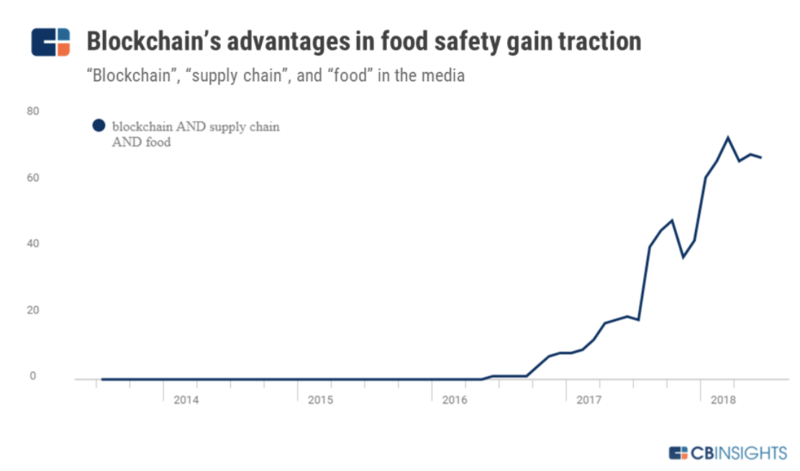 Interest in blockchain technology has considerably increased in one of the less expected areas: supply chains and the food industry. According to CB Insights, media mentions of both the blockchain, supply chains, and food, was almost non-existent in 2016, but that changed in 2017 when interest significantly rose and has remained there in 2018. The blockchain here works more as a co-ordination and in part is a general excuse to digitize. It allows different players in the supply chain, including competitors, to have a commons of sort on the blockchain where records are kept in a way one can be sure they have not been changed. 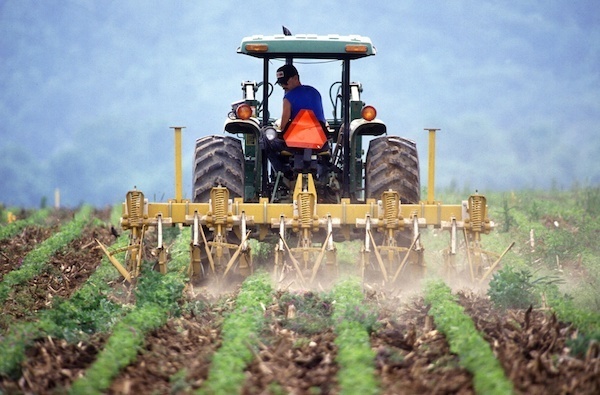 You can for example have a farmer enter a record and, assuming their private key is not stolen, a shipper somewhere else now knows say if cargo capacity is reached. That paper, of course, could also contain incorrect records, so that problem might not be specific to the blockchain, but while finding that paper would probably be time consuming, if at all possible, finding a record on the blockchain is as easy as entering a keyword for searching. Additionally, the significantly reduced cost of chips and their now tiny sizes means they can become the new barcode. You can put a private key in there corresponding to the blockchain address, and potentially you can even furnish them with GPS, so you know what it is and where it is. “With blockchain, the record exists on a decentralized network, helping to prevent any individual from altering the transaction history. In other words, knowledge moves faster through blockchain technology as it can be a network which all can access and see what others are saying or doing within the company and outside of it. How that automation would look exactly remains to be seen, with the company looking at both their own private blockchain as well as public blockchains like ethereum. Beckmann further considers the blockchain as just a technology, like databases or web servers. It will be “part of the world that exists,” he says, an everyday tool. Its utilization, however, is very much in the early stages with many tests and pilots on-going. So how exactly it will develop, remains to be seen. Vechain already light years ahead of everybody else. Spend 30 minutes researching and buy the first blockchain company that will set the global standard.